Want to learn how to copy a playlist from iPhone to iTunes? We’re going to be introducing you to two completely different methods of doing that today (as well as a little bonus that you might want to know about at the very end.) For this, we’re going to be using a data transfer software called iMusic and the ever so popular (yet somehow increasingly limited) iTunes software. 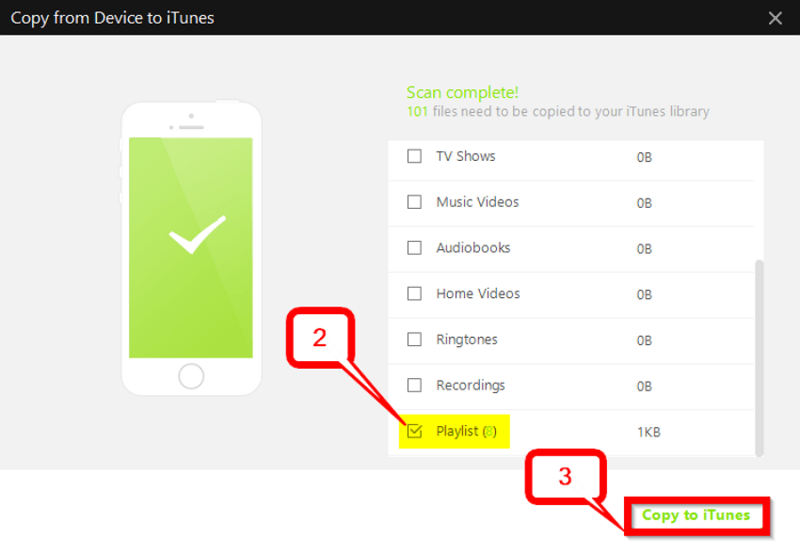 Stay tuned till the end in order to learn more about copying music/playlists from iPhone to iTunes! 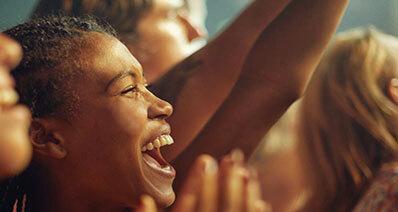 Copy music/playlist from iPhone to iTunes without erasing the files. iPhone to iTunes playlist transfer without restrictions. 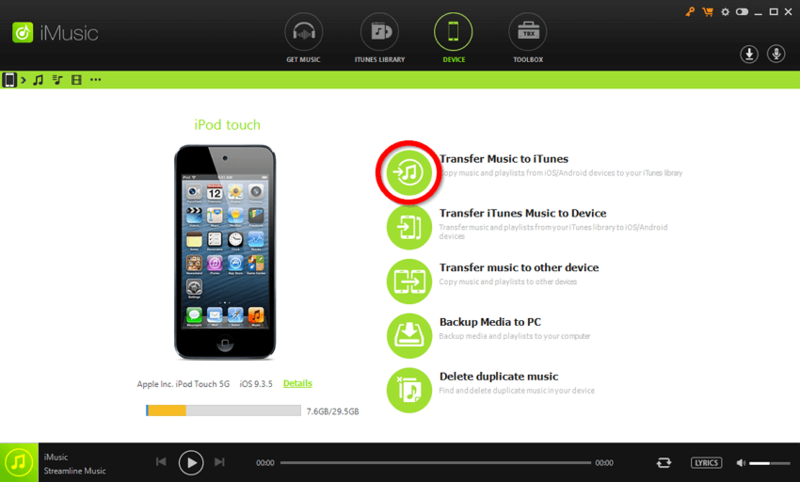 iTunes to iPhone transfer (both manual and automatic) no deletions. Media backup with restoration and recovery tools. Duplication detection scanning system for saving storage space. Device to Device playlist transfer (e.g. iPhone to iPod, etc.). First of all, you’ll need to launch the iMusic program (which you can try out for FREE or purchase from here.) There are four main pages on this program — Get Music, Music Library, Device, and Tool Box. If this is your first time connecting this device to your PC, then you’re going to need to allow it access to your media. 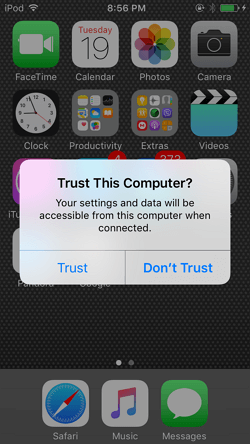 For this, simply select the “Trust” this computer option that appears on your iPod/iPad/iPhone screen. Still on the Device page, we’re going to be choosing the option that is most relevant for our purpose. That is the “Transfer Music to iTunes” option. Click the icon beside that option in order to be moved to a new window. The new window is actually just an announcement screen. Here, iMusic is telling you that in order for it to be able to transfer music/playlist from your device to your iTunes library. You will need to give it permission to scan your libraries first.Click "Start" in order to initiate the scan. Note: This is completely safe and is done in order to prevent the risk of duplication of data. 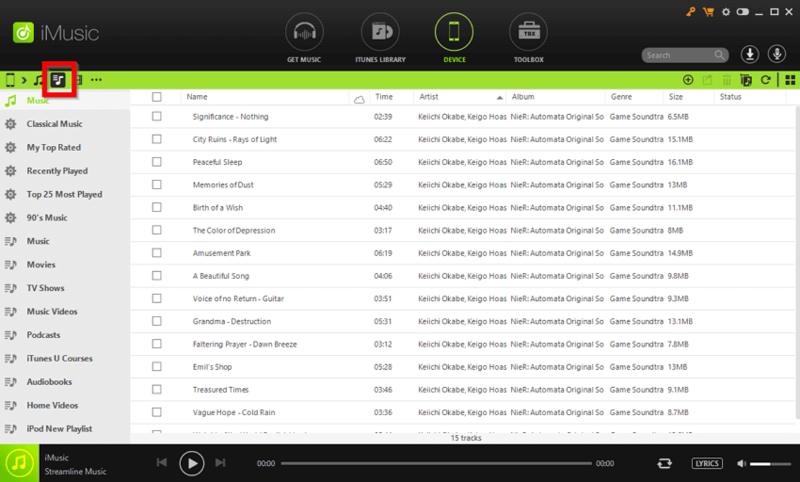 Scroll down in order to select the Playlist section. 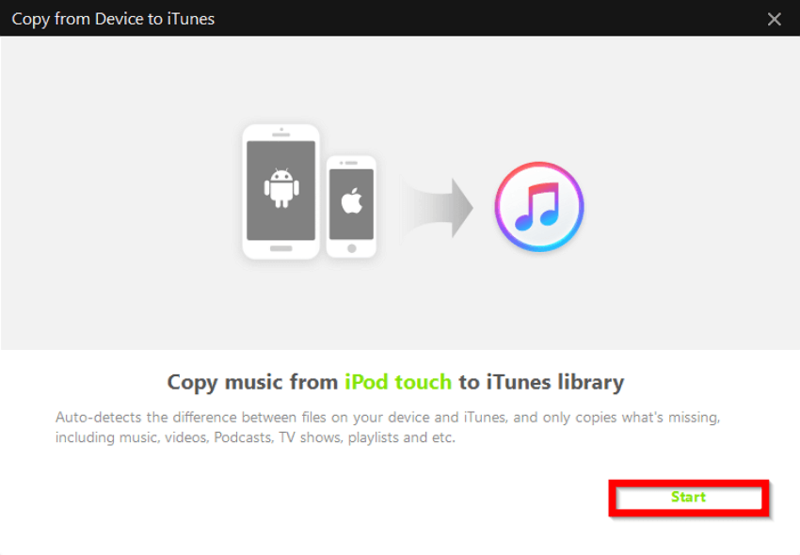 Once that is done, all you need to do next is click the “Copy to iTunes” button in order to start the copy of your playlist/music to your iTunes library. 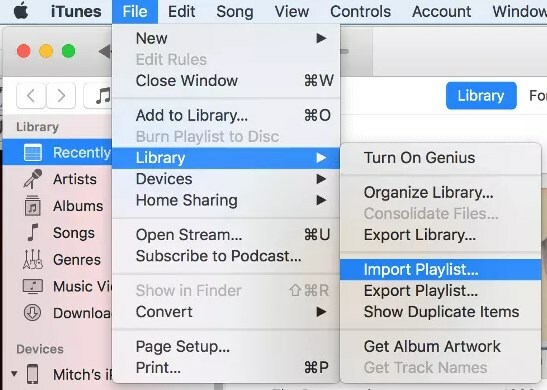 For our next instructive break-down, we’re going to be teaching you how to copy playlists from iPhone to iTunes using the iTunes software on a Mac PC! This is limited only to the automatic sync option. Which shouldn’t be a problem if all the songs on your device are from Apple Music. However, keep in mind that if you have music sourced elsewhere, iTunes will prompt you to delete those files before it will allow you to actually copy your playlist onto your iTunes library. In order to proceed, you’re going to have to make sure that you are on the right settings page. To do so, click the “Music” option under Settings on the left sidebar. This should move you to a page where you can control your device’s music settings. 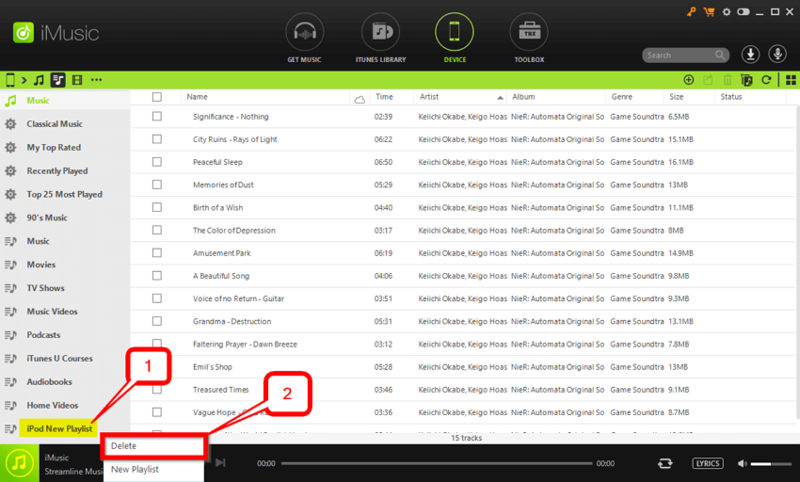 Then, make sure to select the “Sync Music” option. Now, if you want to transfer your entire music library (music, playlists, and all), select the “Entire music library” option. If you only want to move a particular playlist, then you can also select the “Selected playlists, artist, albums, and genres…” option. 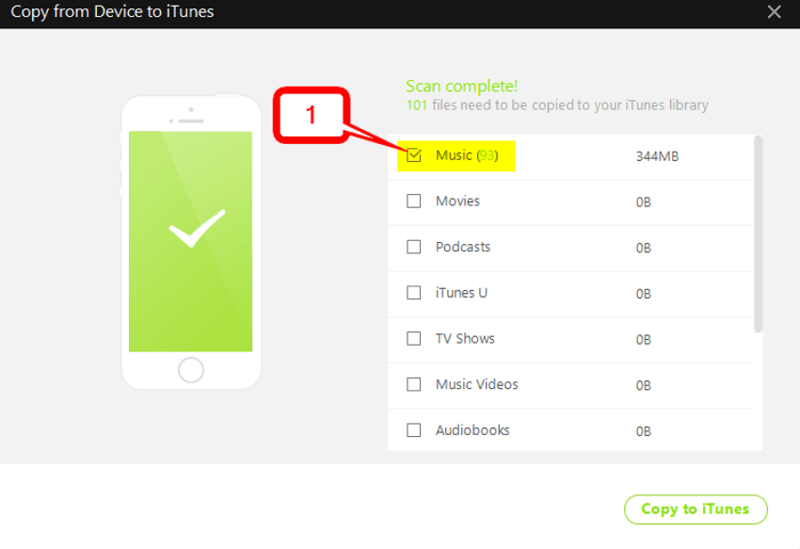 This will allow you to hand pick which playlists you want to copy from your iPhone to your iTunes library. Whether you choose the “Entire music library…” or the “Selected playlist…” option, you’ll still have to click the “Apply” option. 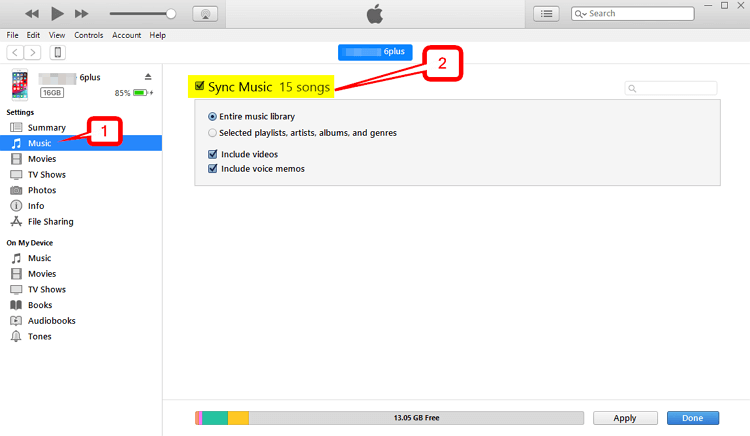 Then, once the change in option has been applied, when you sync your device and your iTunes, it will either move your entire music library or copy the playlists you selected. For our extra instructive step-by-step breakdown, we’re going to teach you how to remove a Playlist from your iPhone on a Windows or Mac PC. Again, for this, we’re going to be using the iMusic program. Which does, in fact, allow you to conveniently manage the playlists on your device. Whether that be adding, removing, or editing playlists. Much like before, in order to make progress, we’re going to have to be on the Device page. This is where iMusic has stored all of the device-related options. As a reminder, you can access the device page by clicking the “Device” icon at the top menu. Still on the device page, we’re going to move from the transfer options by selecting the “Playlist” icon (as is marked in the image below.) By doing so, the page should change to preview the songs on your iOS device — as well as the playlists on the left side bar. 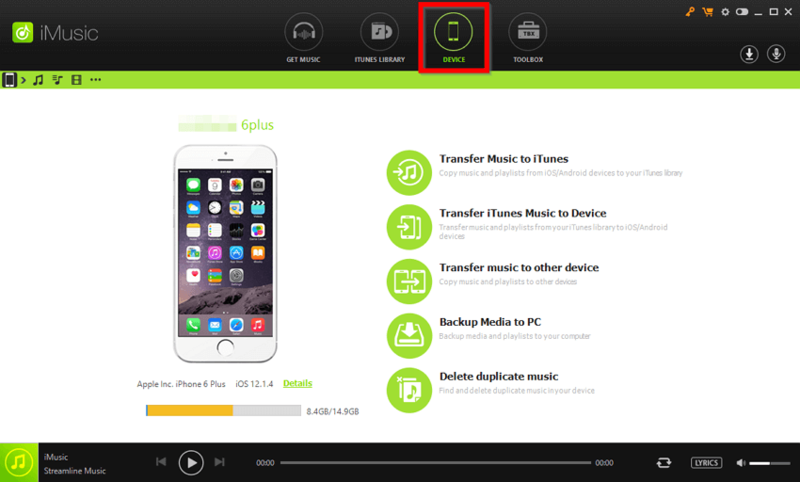 Now, in order to delete a playlist from your device, all you have to do is right-click it on the left side-bar and select the Delete option from the drop-down menu. That is, it! This playlist should now no longer be available on your device. 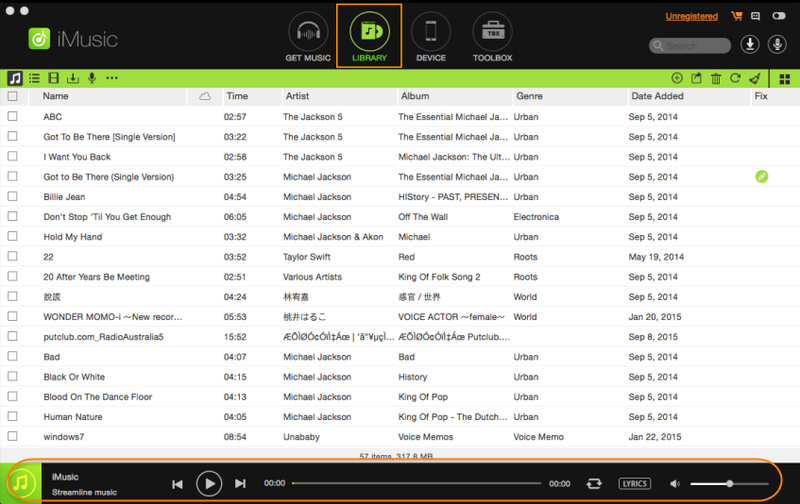 Conclusion: Thus, concludes our quick introduction on how you can copy playlists from an iPhone/iPod/iPad and move it to your Mac or Windows PC. We showed you only two different methods this time, but these are really all you need to know about. And, as for the program that we recommend that you actually use, that goes to iMusic. Which, in comparison to iTunes, is more versatile and endlessly more intuitive. Allowing you to copy playlists with ease — absolutely no stress included.